In China, cruise tourism is getting more and more popular. 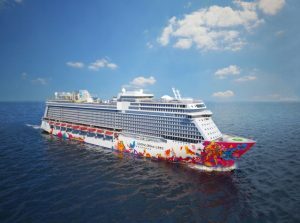 Shanghai has been actively pushing forward the cruise industry, extending the industry chain and promoting the international cruise service trade. In April, 2019, Shanghai will welcome a brand new cruise as its home port. Explorer Dream, a German-engineered 75,338-gross ton, 1,852 passenger cruise liner will begin operation next spring with a selection of voyages to Japan before relocating to Australia and New Zealand for the winter season. China’s cruise industry is on the cusp of rapid growth. Last year, 18 cruise vessels were operating out of Chinese ports, carrying 2.4 million Chinese passengers. 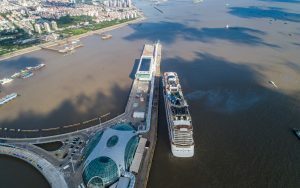 The Shanghai Wusongkou International Cruise Terminal, officially opened in 2011, has become the biggest homeport for cruises in Asia and the fourth-largest in the world.